We all strive to achieve the best physique possible – and for most of us that’s adding lean muscle and stripping down body fat. Both of these are desirable and are the so called golden chalice of exercising for aesthetics. To achieve this, traditionally you’d phase your training so that you focus on these goals individually – maybe a ‘bulking phase’ followed by a ‘cutting phase’ – it would work but it’d be time consuming and tedious. But what if you could lose fat and gain muscle at the same time? Is that possible? What about Protein and body recomposition? The process of adding muscle mass whilst simultaneously losing fat is referred to as ‘body recomposition’, or ‘recomp’. Typically it was always suggested that if you wanted to add slabs of muscle then you’d need to be in a positive energy balance – eating more calories than you were burning off, and if you wanted to lose fat you’d need to be in a negative energy balance – forcing your body to use fat for fuel. 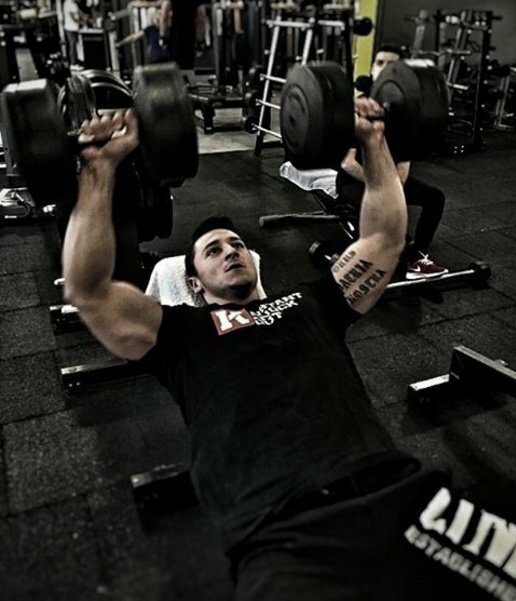 Obviously you can’t be in a surplus and deficit at the same time, so to achieve muscle building and fat loss you’d have to cycle your training into ‘bulking’ and ‘cutting’ phases – this of course would mean that you would have to pick which of the two goals you wanted to prioritize within any one phase of training, making your end goal longer and more tedious. …unless you could do both at the same time! Key Point: The process of building muscle whilst losing fat is called ‘body recomposition’. The science – Can you lose fat and gain muscle at the same time? In this 12 week study, 24 overweight police officers were randomized into one of two groups. Weight loss was achieved in both groups, however the most interesting finding from the study was that group 2 managed to add ~9lbs of muscle whilst losing ~9.3lbs of fat – they also improved strength across a number of different body parts. Study Summary: One point to note with this study is that the volunteers were overweight – this limits the comparability to those who are at normal leanness and wish to decrease further – for a photo shoot or physique show for example. However, it does provide good evidence for those wanting to recomp from a sedentary starting point. This study showed that women too can recomp – and this is an important finding as traditionally women find it harder to add muscle. Those in group 1 gained 2.4lbs of lean mass while at the same time reducing fat by 0.67lbs – and those in group 2 gained 4.2lbs of muscle and lost 3.5lbs of fat. Study Summary: Whilst there were obvious differences between groups, the main thing here is that in both groups, recomp was achieved. Additionally, it appears that females may also benefit from adding milk to their diet too! So it seems that body recomp is achievable in overweight individuals – but what about trained athletes and those of higher fitness levels? This study, published in the International Society of Sports Nutrition journal, used 8 elite artistic gymnasts in order to investigate the effects of low carbohydrate, ketogenic diets on performance and body composition over a 30 day period. These athletes were at elite level and typically they were training regularly – on average 30 hours per week. They were placed on a ketogenic diet of less than 2000kcal per day, which is a tough combination to put together. The results of the study showed that over the study period, the average fat loss took them from just over 7% to 5%, and gained just under 1lb of muscle – all of this on 22g of carbohydrates per day (4.5% of total calories). Study Summary: This study of elite gymnasts demonstrates perfectly the ability to lose fat and add muscle at the same time – as you can see though, the differences are less drastic than in untrained participants. Key Point: Research suggests that losing fat and gaining muscle are possible in both trained and untrained individuals. One common theme from the above research is that even though many of the successful recomp studies used calorie deficits, they all utilized high relative protein consumption (one of these of course was from milk intake). One vital component of muscle growth is that of protein synthesis – this is where new protein is created and muscle size increases. This is the opposite of protein degradation, where protein is broken down which can lead to muscle loss. In terms of overall recommendations, studies have showed that by consuming higher protein intakes, you can preserve lean mass whilst in a deficit. 1.8-2.7g.kg per day seems to be a decent amount to aim for . Additionally, Hartman et al  have found that by adapting an ‘intermediate’ feeding approach – 4 x 20g of protein every 3 hours, protein synthesis is maximized. Summary – Is simultaneous fat loss and muscle growth possible? The process of losing fat mass, whilst at the same time increasing muscle mass, is referred to as body recomposition. For a long time it was considered that ‘recomp’ was a myth – in order to build muscle you needed to hit a calorie surplus, and to lose fat you needed to be in a deficit so they were at complete ends of the training spectrum. Recent studies across a wide range of client types show that achieving fat loss and muscle gain simultaneously is achievable in practically all people – however the rate of change is much slower in trained individuals, who are already lean. This is referred to as a ‘law of diminished returns‘. One common theme running through the majority of research papers is that of upping protein consumption – by doing so you can achieve protein synthesis in a slight calorie deficit. Demling, RH et al. Effect of a hypocaloric diet, increased protein intake and resistance training on lean mass gains and fat mass loss in overweight police officers. Ann Nutr Metab. 2000;44(1):21-9. Paoli, A et al. Ketogenic diet does not affect strength performance in elite artistic gymnasts. J Int Soc Sports Nutr. 2012; 9: 34. Murphy CH et al. Considerations for protein intake in managing weight loss in athletes. European Journal of Sport Science. 2014. Hartman, JW et al. Resistance training reduces whole-body protein turnover and improves net protein retention in untrained young males. Appl Physiol Nutr Metab. 2006; 31(5): 557-64.